The BART strike is over and the 30,000 students, faculty and staff at SF State, along with the rest of the Bay Area, can finally rest easy knowing trains will keep running. 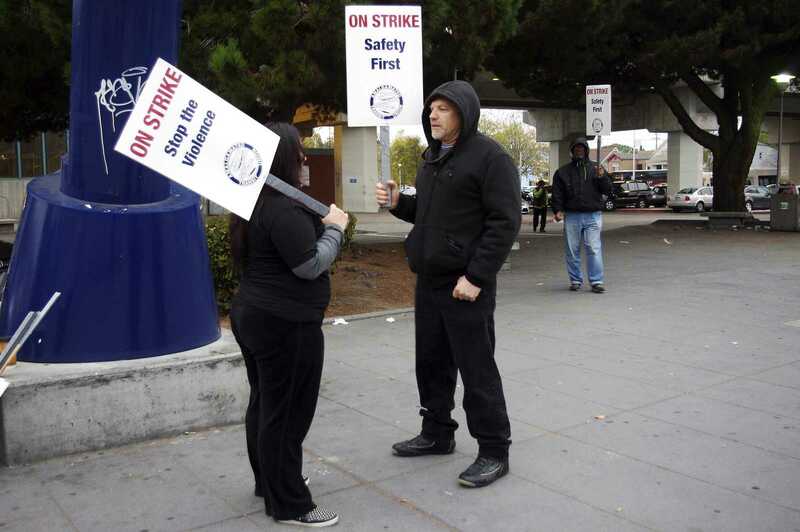 The announcement Monday of a tentative agreement between BART unions and management brought an end to months of arguments between the two sides and a four-day transit strike. The deal must still be ratified by union members and the BART board of directors, but is expected to be approved. Trains began running early Tuesday morning with 30 to 45 minute delays, and by the afternoon were back on track to the relief of the system’s 400,000 daily riders. Ramirez wasn’t the only one worried about her commute. The Bay Area took to the Internet to voice displeasure, filling twitter with hashtags like #ihateBART and #BARTsucks. Along with an outpour of frustration, the strike also generated wide-spread debate on the impact of unions and living wages in the Bay. Determined not to be left in the lurch, SF State President Leslie E. Wong said he instructed his staff to prepare for the crisis months ago during the four-day strike in July. The University set up a website and sent mass emails that advertised contingency services like sleeping space in a community room for those with early morning classes and shuttle service from the East Bay. Overflow parking and a ridesharing platforms were also offered. The drawn out labor conflict began in July with a four-and-a-half-day strike after unions and management were unable to agree on a new contract. Unions returned to work in good faith and were told to keep the trains running as Gov. Jerry Brown imposed a waiting period and a judge approved a cooling off period. When the cooling off period ended Oct. 11 the Bay Area was forced to endure the threat of another strike almost nightly. Unions finally walked off the job in frustration last Thursday at midnight. Four days later, after the death of two workers, BART and its unions have finally come to an agreement. Despite the agreement union leaders have said they remain committed to improving safety rules for the safety of BART workers and the riding public, especially in light of the death of the two transit workers. “Let us be clear that our commitment to improving the safety at BART doesn’t end with these negotiations,” said Des Patten, president of SEIU 1021’s BART Professional Chapter in a statement.